There is very efficient way to study well from UWorld (formerly USMLE World) and it may or may not work for you. You need to go over UWorld as many times as you can in order to fully master the concepts. That means you shouldn’t waste the questions, and you should read the explanations, word-for-word. You should start reading the questions like a book. 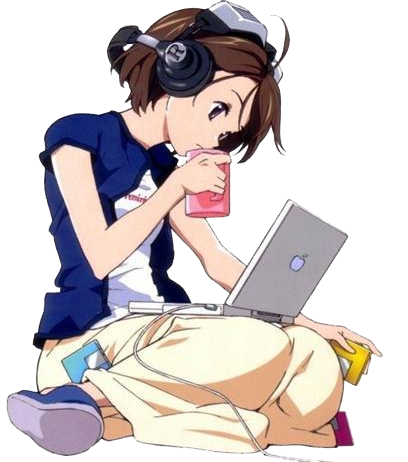 That means choose TUTORIAL MODE and MIXED. And choose 10 questions at a time. You need to start off slow and slowly work up to 15 at a time and then 20. The reason being is it’ll give you less anxiety when you have so little to do. After choosing the answer in tutorial mode, go all the way down and read the education objective first to get the summary of what it’s about. Treat all the questions as if you got it wrong, even if you did get it right. All the explanations are golden. Do not ever skip any questions. Each wrong answer is the summary of the explanation to another questions. In this format, you are interconnecting the dots of medicine, and it’s building up repetition learning. DO NOT RUSH. You must take your time. Remember, you should do the question bank multiple times. Another way to effectively get the most out of UWorld is watching a videos while doing questions. For example, in the morning spent couple of hours watching Pulmonary section and then afterwards do a mixed question block. That way you are re-enforcing the concepts into your long-term memory. If you don’t understand something from the question bank, don’t be lazy and Google it. Biostatistics is better explained on YouTube. As a matter of fact, KhanAcademy does a great job explaining medical biostatistics. If you were told that USMLE Step 2 CK is easier than the USMLE Step 1, then who ever told you must’ve taken the Step 2 CK long time ago. Whatever the case may be, Step 2 CK is no longer easier than the Step 1. The passing rate and average of CK is very high and therefore the difficulty has been increased. Just note that there is no one book to study for the USMLE Step 2 CK. For Step 1 we had the First Aid but for Step 2 CK, the content changes constantly, that I think why authors and publishers have a hard time keeping up with changes. First of all don’t jump to the USMLE World (UW) question bank, because there are missing information in the explanation of the question bank, because you are expected to know the missing information. You must have some kind of background foundation before you can go over UW. 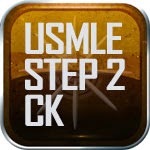 Before you start studying, research which book for the USMLE Step 2 CK will be good for you. There are several that I know of, which my help you, but everyone is different. Yale G book is very comprehensive source in terms of what you need or may need. It’s designed to give the reader a study source for both Step 2 and Step 3. You can buy it online from the author’s website or from Amazon.com. The book looks hard to read, but it has a lot o high-yield information for the test. According to the author, it has notes from Kaplan and UW and other sources combined and organized. I have a copy of it but I didn’t use for the test so I can’t give a good review of it. It’s a recent published book so not many know of it. Master the Boards for the USMLE Step 2 (MTB2) is an easy read book and it’s used by large number of medical students. However, it has so many missing information that you will get frustrated with it. I may publish my notes online with the MTB’s page number, but that is if I have time. If you use MTB2 then you must use Master the Boards for the USMLE Step 3 (MTB3). The pediatrics and the OB/GYN section from MTB3 is very well written for the USMLE Step 2 CK. I used this book for my test, and I passed it because everyone was laid out, but I still feel a lot of basic sciences were missing, which was a necessity to go over. MTB2 and MTB3 doesn’t have the pathophysiology for a lot of the disorders, just the management. Step Up to Step 2 CK is a book, which is co-authored by Dr. Brian Jenkins from Doctors in Training (DIT). It has good amount of information but you have to supplement it with some other source, MTB2, because “the next best step” is missing in some of the disease sections, if not all. This book has DIT videos that go with it, similar to DIT for Step 1 with First Aid. Kaplan Lecture notes (LN) is used for those who just need to know everything. Kaplan LN is the ultimate source for Step 2 CK, but some management changes with new research. Kaplan LN also has videos that go along with the notes. Now I recommend you choose at least one book source and stick with it. Now with each section make sure you do questions to drill the information into your head. I recommend Kaplan QBank first. Kaplan may not have the best questions, but their explanation with the supplemental book source, helps in understanding the material. Make sure you do all of Kaplan questions, and do them just ONE TIME. And take notes from the questions. Also, do Kaplan questions by the section you read the book. So if you read Infectious Diseases on MTB then do Infectious Diseases questions from Kaplan Qbank. After you do Kaplan questions, then do UW by section at least once. I recommend you do UW questions by section at least once because it helps in memorizing the information when you read the other answer choices multiple times. In UW, the wrong answer choices are usually the right answer choices for other questions. After you completed UW once by sections. Reset the question bank and now do it mixed, random, and in timed mode; from now on do all question in this manner. I recommend you do UW at least THREE TIMES to fully grasp the material. The more times you do UW the better you will be able to master the concepts being tested. As always, do the legit online version, because UW constantly updates their questions, which is the best thing you can get right now because management changes often. However, do not use the percentage correct of UW questions to assess yourself, because it won’t do you any good. The correct percentage does not assess if you know the material or not. UW has a separate assessment test for that. If you also want to increase your access to questions, do the NBME subject based tests and also the comprehensive tests. In terms of which assessment tests give you a predictable score; everyone says UW assessment (UWA) to be closest to predicting it. If your UWA score was in the 220s then it’s kind of unpredictable, but if it’s 230+ then it’s very close to predicting your score. Unlikely USMLE Step 1, Step 2 CK does not have any solid assessment for predicting your score accurately; you just have to do UW as many times as possible. I hope this helps because getting guidance for Step 2 CK is hard to get, because no one can give you any solid advice. USMLE World question bank is extremely difficult; however, it is the guide for studying for the USMLE and there are so many ways to study from it. Make sure you have a book while you are studying; you shouldn’t study just from the question bank; for Step 1 you should be using the First Aid book and for Step 2 CK it’s usually Master the Boards for Step 2 CK or Step 3. You should always write notes and don’t skip any concept because the information presented on this question bank is gold. For the rest of the post I will concentrate for the Step 1 to keep it simple, but you can use it for other steps as well. Pathophysiology: IgG antibodies blocking post receptors in the synaptic cleft, which decreases muscle contraction. Causes: It’s autoimmune so it’s genetic based. Signs and Symptoms: Ptosis and tired at the end of the day. Associated Diseases: Thymoma; hypoxia from respiratory depression because of the diaphragm muscle movement hindering. Test for diagnosis: Edrophonium test. Treatment: Acytelcholinesterase (neostigmine, pyridostigmine) blockers because with more acetylcholine in the synaptic cleft, the acetylcholine will outnumber the antibodies. Most of the information should be in your First Aid for the USMLE Step 1. If you don’t have enough space to write in your First Aid book then get it unbounded at a local office store and put it in a 3 ring binder. Make sure you write down your notes in your First Aid book next to the topic the question is related to. If you don’t have enough space you should have the book unbounded as mentioned earlier. For me I still didn’t have enough space on my First Aid even after I had it unbounded so I got a more precise pen about 0.5mm to write smaller. But the pen’s ink blots a lot on the book’s pages and messes it up so I first whiteout the area of the page before I write on it and I’m able to write it clearly. I admit that was not the cheapest method, because whiteout tape is expensive and I probably spent over $70, but it worked for me. I was able to take a lot of good clear notes because I used a lot of white out tape. It was beneficial when I studied for Step 1 and it’s beneficial now because you still need your First Aid book with your notes to study for the USMLE Step 2 CK. You may feel frustrated or down since you got the question wrong but the wrong questions are the ones, which you will remember so, getting it wrong, is beneficial. Read the entire explanation of the wrong question and write down any notes that are not in the book you are using. Each wrong answer choices will remind you of a previous concept or point out a new concept. If it’s a new concept then it will be an introduction to a future question that you will see. This is a constant cycle with all the questions, which will help you memorizing and connect the dots with other subjects and systems. The more questions you do the more you will learn and retain the information. However, you have to do the questions in mixed and random mode in order to achieve this. If it’s your first time doing the question bank and just because you got the question right doesn’t mean you should skip going over its explanation. You may get the question right for the wrong reasons and that will harm you during the real exam, that’s why it’s important to go over the question. Follow the same method as you would if you were to get the question wrong, which I mentioned in the previous paragraphs. Remember this method is very good for going through the USMLE World question bank the first time. If you go through the question bank very first time thoroughly with my method and do this for every single question then you shouldn’t have to write anything at all for the second time and afterwards. After the first round is done, you should take an assessment test. For whichever subject you are weak in, study that subject from First Aid and from your notes. In the second time and afterwards, you should start using DIT.